At the peak of the #metoo movement, a friend of Travers + Todd approached us with a novel idea. 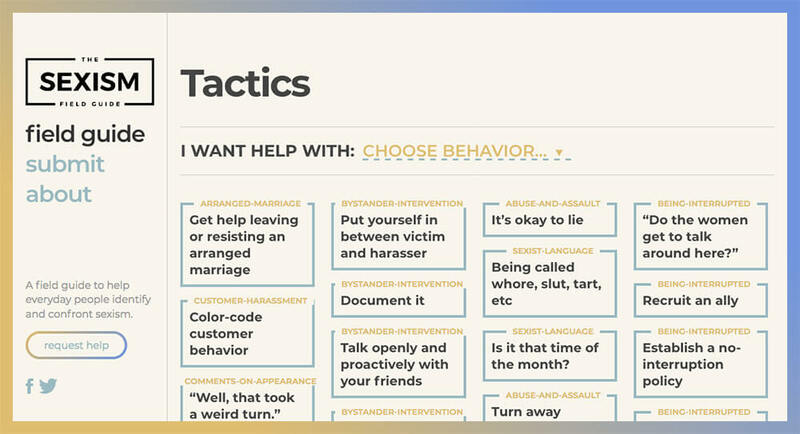 The goal was to create a “field guide” for dealing with sexism. 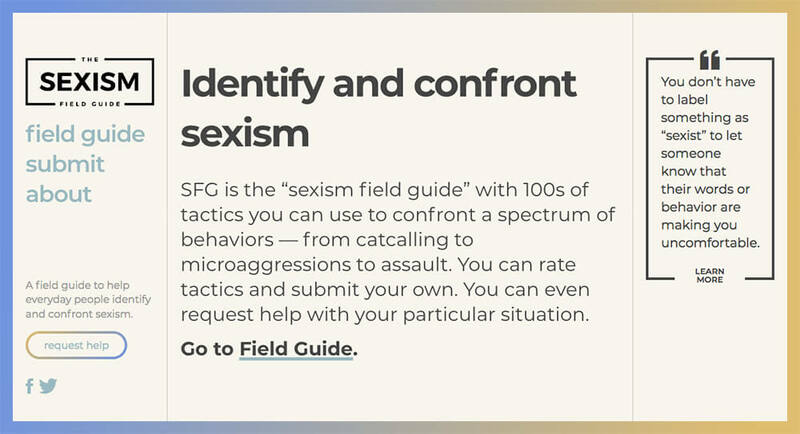 The Sexism Field guide is a repository of advice and tactics for dealing with sexism. 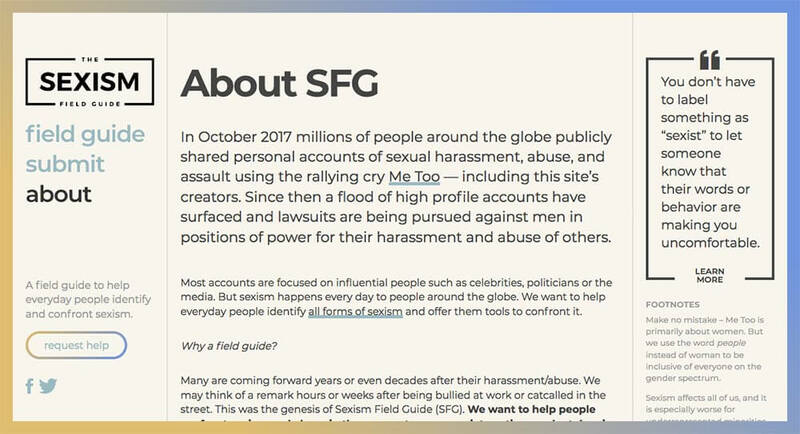 The site features an array of crowd sourced tactics that have helped people deal with their account with sexism.